#1 Online filtration retailer in the US! SIGN IN. CONFIRM ORDER. DONE. Ships in 7 to 8 business days. 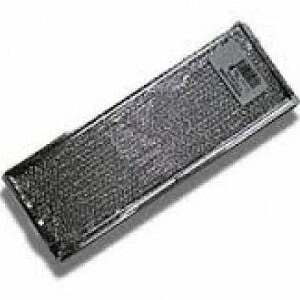 The American Metal Filter RHF0438 is the compatible replacement for the GE WB06X10288 microwave oven grease filter. 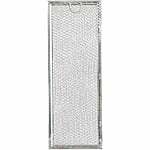 The American Metal Filter RHF0438 works with many GE and Hotpoint XL1800 series microwaves featuring over the range (OTR) hoods, as well as some GE ranges (see full list below). 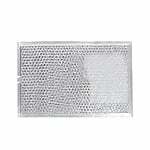 This oven hood filter features a durrable aluminum mesh construction for a long life. Please ensure the above dimensions match your existing filter before purchasing this oven filter. Also make sure your microwave does not require two filters, as some do. Never forget to change your filters. Save 5% today and on all your future orders & we'll deliver them automatically! * Recommended frequency based on manufacturer guidelines. There's never an obligation to continue and you can cancel or modify your order at any time on the My Auto Delivery page of our website, or by calling 1-866-438-3458. You will only be charged when your orders are placed. We respect your privacy .